Canadian auto sales climbed to an all-time June high in the sixth month of 2016. Year-over-year growth of 7% equalled more than 13,000 additional sales, including 4500 additional pickup truck sales and nearly 10,500 additional sales of SUVs and crossovers. A massive 40% increase in sales of Canada’s best-selling vehicle, the Ford F-Series, drove the top sellers’ year-to-date lead over the second-ranked Ram P/U to 23,146 sales. The Ram P/U, meanwhile, is secure in its number two position, 15,894 sales ahead of the Honda Civic. The Civic, meanwhile, is 7682 sales ahead of the second-ranked car, Hyundai’s Elantra, through the first-half of 2016. Thus, it’s highly unlikely that the Civic will surrender its crown as Canada’s best-selling car, making 2016 the 19th consecutive year of leadership for the Civic. The Ford F-Series, meanwhile, will turn 2016 into its eighth consecutive year as Canada’s top-selling vehicle line. 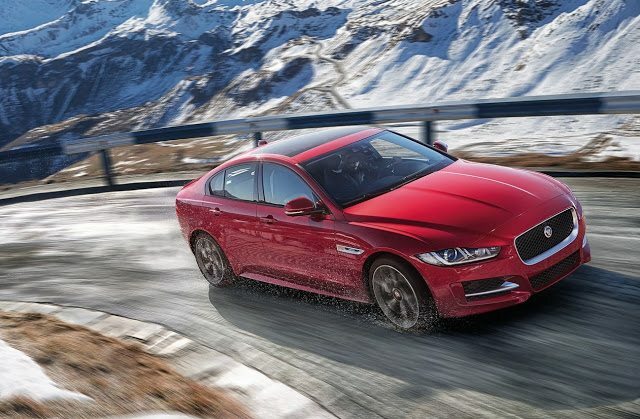 Compared with May’s year-to-date Canadian auto sales results, the Jaguar XE is the lone newcomer. But we also now have sales figures supplied by the Global Automakers Of Canada for June for a handful of Maseratis. The year-to-date results appear odd: we don’t have first-half results. But we’ve included the Ghibli, GranTurismo, and Quattroporte’s June figures. Reminder: these are 2016 year-to-date rankings, but you can sort vehicles by June 2016 volume by clicking the June 2016 column header, or you can rank vehicles by improvements or declines using the % columns. Or, most importantly, you can list automakers together by selecting the Vehicle column header. There are visible brand results, so when you sort the table by vehicle names to showcase, for example, all Porsches together, you’ll also see the Porsche brand’s total. Manufacturers are shown in bold to differentiate makes and models. At any time, click the Rank column to return to the original format. If you’re on a mobile device, you may need to choose the full version of the site (at the bottom of the page) in order to use the sortable function. ² Total Prius Family sales: up 57% to 1094 in June; up 7% to 3980 YTD. ³ Total Santa Fe sales: down 7% to 2939 in June; down 1% to 16,882 YTD. ‡ Total Genesis sales: up 18% to 206 in June; down 13% to 1225 YTD. º Land Cruiser is a commercial vehicle in Canada. Audi’s A4 sales data includes sales of the Allroad. We’ve acquired Maserati figures by model, but only for the month of June – the blank spaces for other months do not indicate that there were no Maseratis sold in the previous five months of 2016 or the first six months of 2015. Sales data for brands such as Bentley, Ferrari, Lamborghini, and Rolls-Royce are unfortunately not broken down by model. estimates say sales for those brands in 2016’s first six months were 41, 108, 85, and 42, units, respectively. Total Maserati volume is reported, but not by specific models. It is believed that Tesla sold 639 copies of their Model S during the first five months of 2016.